Buying a large home in Michigan, brought with it a lot of expenses. While the home itself was a steal of a deal, paying for utilities on so much square footage was definitely an adjustment. As we continue with renovations and changes in our home, it’s easy to say that we needed some Tips For Energy Savings In Your Home. So, when DuPont™ Tyvek® asked me to share with you about their siding in this sponsored post, I knew it fit right into our recent challenges with our home. As I mentioned, this post is sponsored by DuPont™ Tyvek® and their amazing exterior sheathing product. If your home has vinyl siding installed now, this post is a great place for you to begin understanding how an update can benefit you and your energy costs. To learn more, check out the DuPont™ Tyvek® website. House Wrap Vs. Sheathing: When we moved to Michigan last fall, we thought we knew what our home was made from and how renovations would go for our family. What we didn’t realize was that sometimes, you miss little details. For us, it was not just that the roof needed repairs, but that it would have to be completely removed – including 100+-year-old original cedar underneath. That created a big financial burden and tons of labor intensive work that was unexpected. Knowing what your home is made of – underneath all of the pretty paint, shingles, and siding is a must. When you truly want to be more energy efficient, you need to know the layers behind and underneath the exterior. 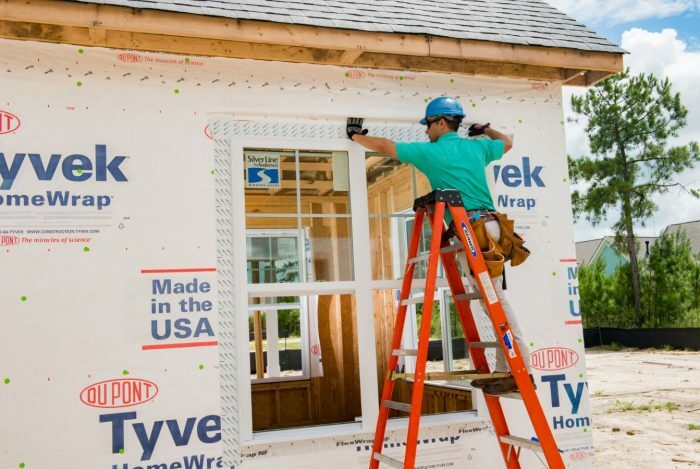 Using exterior sheathing and house-wrap like the DuPont™ Tyvek® gives you an amazing exterior layer, that protects your home from mold, water, and creates energy efficiency. Install quality products: I cannot say this enough. As we have navigated renovation needs in our new home, quality is worth every penny spent. 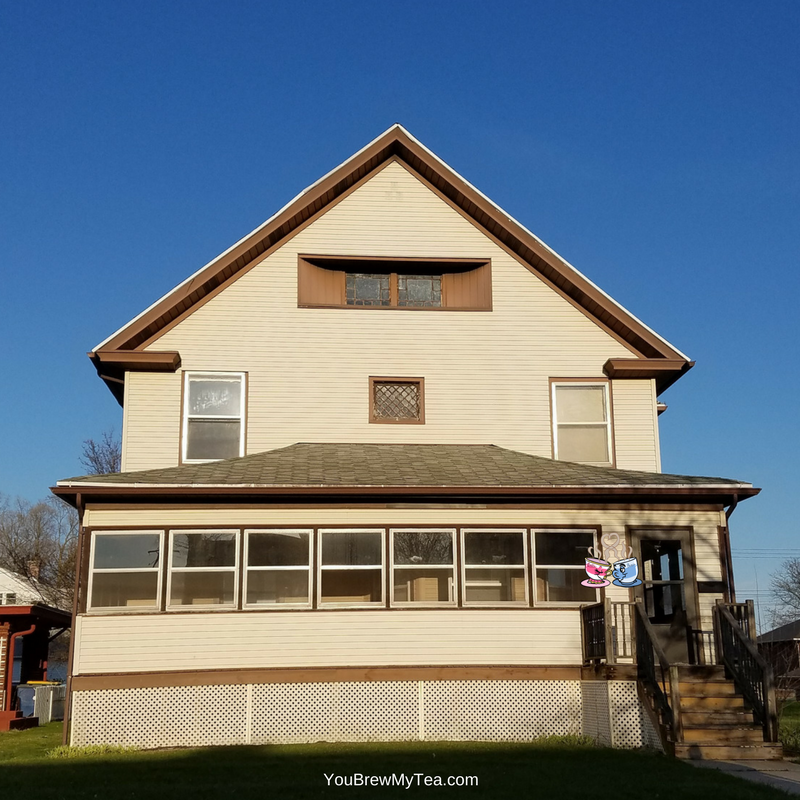 Looking at the renovations made within our home by former owners, we see how easily the fast and cheap fix doesn’t work out in the long run. Some repairs made just 5 short years ago looked as if they had never been completed. Investing in a quality product, no matter where it is in your home, is a must. Tyvek® has tons of amazing benefits as a protective option for your home, but my favorite is that it is really quality. Not only does it prevent rot and mold in the walls of your home, but it protects against the elements outside. In Michigan winters, we need something with the Tyvek® standard which will keep air and moisture out of our home. Low-quality exterior sheathing may look great for a time, but do you really want to put more money into replacement in just a few years? I know, after all of the hard work we are putting into our home now, we don’t want to repeat this process again anytime soon. Having a healthy home that is free of mold in the midst of a harsh winter weather state is important for our family. Protecting our home by providing a quality product underneath is a must. Plan ahead for future home renovation needs: As I mentioned, updating your home and renovations can be a huge hassle at times. By doing things the right way and with quality products now, you can make your future renovations easier to manage. Not only does that include making sure your base structure is sound and free from mold or other issues that could worsen with time, it means you need to plan for products to last a lifetime. Choosing quality and putting quality underneath and behind things like Dupont Tyvek®, will make a huge difference when the time comes for renovations in the future. Trust me on this point, you don’t want to create more problems for yourself in the future. As you plan for more renovations or begin renovations in your home, take the time to learn more about Dupont Tyvek®. Whether you are working on updating the exterior of your home, the interior of your home, or just planning for the future, these tips for energy savings are sure to save you time and money.